How to get still photos from a video? I want to know if there is a way to get still pictures from a video that I made … Can you tell me how to do it and what program I need? After recording a video or making a slideshow, you may want to get back still pictures from a video or slideshow. The rear camera of iPad and iPhone enables you to film HD videos easily to record best moments. However, maybe you just want to share some pictures in the video with your friends instead of the whole video. So what is an easy way to get still pictures from a video? What you need to solve the dilemma is Video to Photo Grabber . With the app, you can easily extract pictures from a video or slideshow. 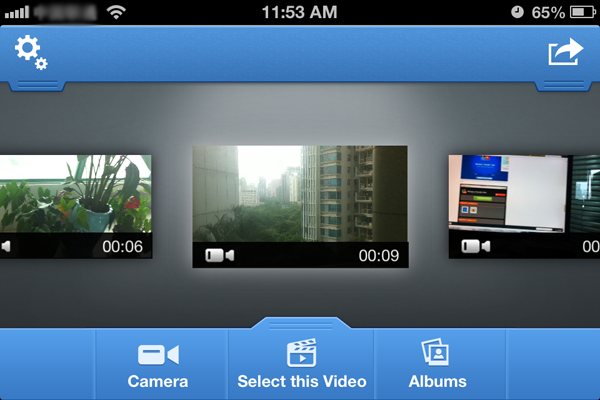 It enables you to save the frames of video to Camera Roll or share pictures via Email, iTunes File Sharing or others. Besides, its built-in photo editor allows you to edit photos before saving images. System requirements: iPad, iPhone and iPod with iOS 5.0 or later. Video to Photo Grabber is compatible with iPhone 3GS, iPhone 4, iPhone 4S, iPhone 5, iPod touch (4th generation), iPod touch (5th generation), iPad 2 Wi-Fi, iPad 2 Wi-Fi + 3G, iPad (3rd generation), iPad Wi-Fi + 4G, iPad (4th generation), iPad Wi-Fi + Cellular (4th generation), iPad mini and iPad mini Wi-Fi + Cellular. 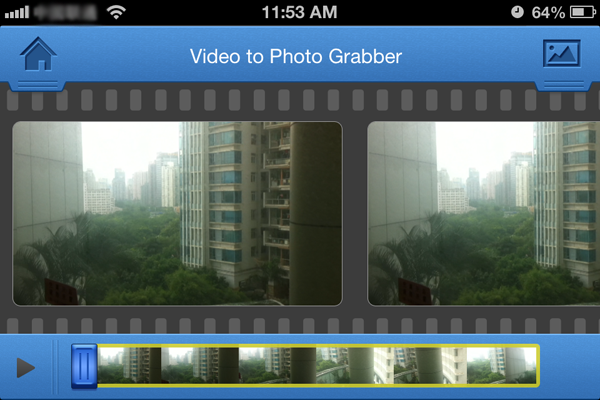 Open Video to Photo Grabber, all your videos in iPad / iPhone Photo Library will be listed in the main screen. Wipe left / right or up / down to browse the videos, then tap the video from which you want to get pictures to add it into the app. 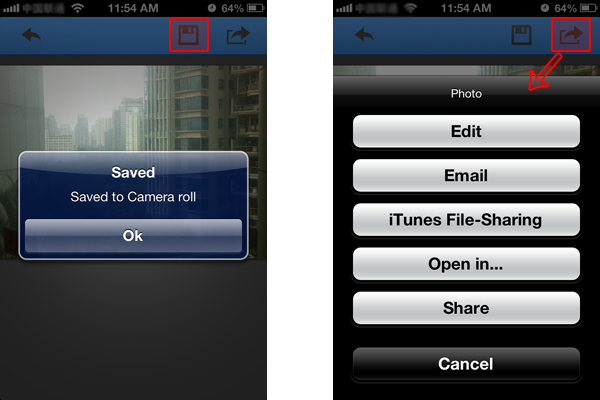 Also you can hit the “Camera” to film an instant video to use or hit “Albums” to import a video from specified folder. After selecting the video, the app will begin to parse the video to all frames. Slide left / right or up / down to view the frames, and tap the photo that you want to extract from the video. After selecting a picture, you can save the picture to Camera Roll . Before saving the picture, you can tap the “Share” icon in the upper right corner to edit the picture with its built-in photo editor, such as cropping, enhancing, adjusting brightness / contrast, add effects, etc. Besides saving a picture to Camera Roll, you can email the photos, share via iTunes File-Sharing, print it out, open in with other apps, etc.